﻿ Best Price on Paitilla Panama Apartments in Panama City + Reviews! Have a question for Paitilla Panama Apartments? A rooftop pool, a gym and sauna are offered at this stylish complex, located in Punta Paitilla. 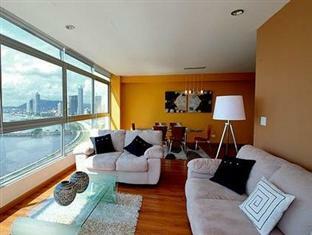 Each luxury apartment includes free Wi-Fi and a furnished balcony overlooking the city or Panama Bay. Panama Apartment Suite Hotel by CorporateStays consists of 3 modern buildings, located in an elegant residential district of Panama City. Multi Plaza Shopping Centre is 800 metres away. There are numerous cafés and restaurants nearby. 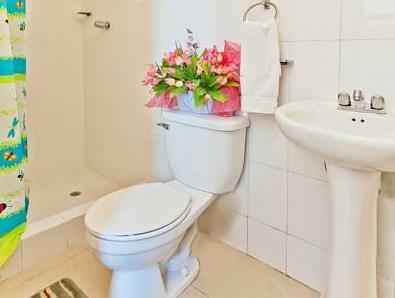 Each air-conditioned apartment at Panama Apartment Suite Hotel by CorporateStays offers bright, modern décor. The living-dining area includes cable TV and a CD player. Kitchens come with a washing machine, fridge and microwave. Please note that this property has no front desk. Guests are kindly requested to contact the property at least 1 day in advance to arrival for further details. Contact information can be found on the booking confirmation. Please note that check-in is from 16:00 until 18:00. Guests checking in later than that will have to pay a USD 40.00 late check-in. Please note that all rooms are strictly no-smoking. Please note that the check-in and key-collection take place at: Punta Paitilla, Calle Ramón H Jurado, Mini Mall Paitilla, 1er Piso, oficina #20, Panamá, República de Panamá, - Panamá City. A security deposit of USD 100 is required upon arrival for incidentals. This deposit is fully refundable upon check-out and subject to a damage inspection of the accommodation.